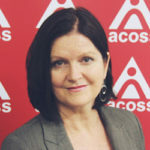 Healthy, inclusive, thriving communities need quality, secure community services, writes ACOSS CEO Dr Cassandra Goldie, as part of a series of articles looking at what the social sector wants from whoever wins the upcoming election. Federal government funding for community services has, for the past five years, been marked by uncertainty, under resourcing and cuts. These cuts have been felt by people, families and communities on the lowest incomes across Australia, including people experiencing financial crisis or family breakdown, children at risk, vulnerable young people, new mothers and babies, people facing eviction and homelessness, carers in need of respite, those struggling with drug and alcohol addictions, and those with mental health issues or other serious health concerns in the community. All of us will rely on these services at one point or another in our lives. And we know that spending in these areas must rise to meet community need and population growth. These cuts hurt. They tear at the fabric of our communities and leave us all worse off. The effect of these cuts are obvious, as workers lose their jobs and communities lose a service they relied on. That’s why ACOSS is launching its community services policy for this federal election 2019, calling on all parties to commit to a significant, $2 billion annual boost to funding for community services, and to address some of the key funding and regulatory challenges that the sector faces. The design and approach to how community services are delivered must also be fundamentally transformed. The application of privatisation and competition policy to community services has been a disaster. Competition policy has cut away at the capacity of local community services to operate through a community development and collaborative approach. Building long-term human relationships at both the individual and community level are essential to driving real change. Competition policy has also placed downward pressure on service quality and the wages of staff, mostly a highly feminised workforce. In many cases, it has also led to a chilling effect where local services feel reluctant to speak up publicly, either to advocate in the interests of their communities, or to criticise government policy, in fear of losing funding provided through competitive rounds. But this is only part of the story of cuts by the federal government. Funding for community services is being cut by stealth, via a failure of the federal government to “index” many community sector grants. So firstly what is indexation? Grants paid to community organisations by most governments in Australia increase annually to meet the increased cost of delivering the service. The federal government takes a different approach, failing to index many of the grants it makes to community organisations, and locking in inadequate funding levels for years. The effect of this policy is clear. As the cost of delivering services rises, and the funding does not, community service organisations are forced to make tough choices – squeezing more out of already stretched budgets, cutting workers’ hours and sometimes reducing services. The costs of this policy are borne by the people using the service, their families and communities. And these cuts-by-stealth are just the beginning. Community organisations have recently been notified of more impending cuts, as a funding program instituted in 2012 to pay for equal pay in the community sector is to end. It is important to understand the history of this funding. In 2012, the Fair Work Commission decided that work performed in Australia’s community services sector was undervalued and that the reason for the undervaluation was gender. Workers were awarded pay increases of up to 45 per cent. The federal government, as a major funder in the sector, agreed to pay “supplementary” funding to organisations to assist them pay these higher wages, noting the fact that a major reason for the undervaluation was the inadequate levels of government funding. Now, this supplementary funding will cease in 2021. Communities and organisations rely on this funding to pay the wages of workers on the front line of service delivery. This funding ensures that communities and organisations can deliver quality services to everyone who needs them, including some of the most disadvantaged people in our community. Without it, cuts to services are inevitable. That’s why in this federal election, ACOSS is calling on the major parties to commit to resolving these four issues (and several others – see our full policy here) – proper resourcing for community services, a transformation to how community services are funded and delivered, fair indexation for community sector grants, and a commitment not to cut the funding that communities and organisations rely on to pay workers a fair wage. Community services have been undervalued by governments, and underfunded, for too long. This election is a time to change that story.